Bladeless LASIK, Laser-assisted in situ keratomileusis, better known as iLASIK, is a popular eye surgery used for correcting conditions like astigmatism, (hyperopia) and myopia in patients. A common misconception about LASIK is that it is a recent discovery in optometry. In reality, the steps that lead to current LASIK were first discovered in the 1950’s by Jose Barraquer, a Spanish ophthalmologist, in Columbia. Since the time LASIK was discovered, it has managed to correct several million eye sights all over the world! One of the key reasons why LASIK is increasingly gaining popularity among patients suffering from common eye conditions/diseases is that it offers a permanent solution to the lifelong requirement of lenses or spectacles. This refractive eye surgery entails reshaping the corneal curvature surface of your eye for correcting vision. In the LASIK procedure, the flap of the eye’s corneal tissue is created and moved out of the way for eliminating near-sightedness or far-sightedness. This is done using a microkeratome or laser. The recent introduction of advanced technologies such as bladeless LASIK and wave front-guided or customized lasers has further increased the demand for this vision correcting procedure in the global market. After the correction is completed, the flap is replaced, creating fast healing with minimal risk. The demand for customized LASIK surgery is largely driven by the benefits like minimal side effects and downtime. This kind of LASIK surgery has been made possible by the introduction of improved technological devices that work on the principles of high speed and sensitivity and allow for more accurate implementation of the vision correction procedure. The reason why customized LASIK is referred to as ‘cutting-edge technology’ is because it can lead to dramatic improvements in optical sharpness that is assessed with the help of the 20/20 vision eye chart. 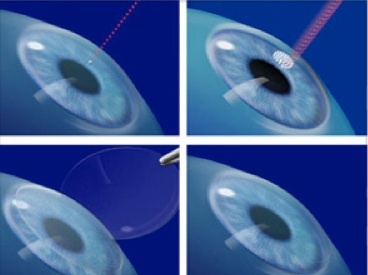 The highly detailed procedure also allows for minimal risk of any post-operation issues like glares and halos. Ophthalmologists report that the rising cases of visual disorders are likely to cause an increase in the demand for the customized LASIK procedure.